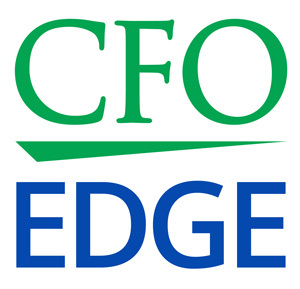 In today’s economy, CFOs face a wide array of regulations that monitor everything from financial activities to clean air and water policy. The debate over the necessity of such regulations has gone on for many years (and certainly will continue into the future), with opponents claiming that excessive regulation hinders economic growth by limiting business, and advocates of regulation suggesting that such policies carry wider benefits for society as a whole. Regardless of which side of the debate holds your sympathies, the truth remains that regulations can carry a significant financial and qualitative burden. Government administrators are constantly changing regulations in an attempt to improve efficiency and increase overall benefits. In particular, the last year has featured a number of policy initiatives that must be accommodated by businesses. There are a few areas at the moment where significant regulatory changes have been made. These are mostly related to employment initiatives, health care, and taxes. In all cases, changing regulations can mean a significant financial burden for businesses adapting to the new rules. Often, at least at first, the cost of inputting new regulations outweigh the benefits, as it takes considerable resources to adapt to such changes. Accommodating regulatory changes involves a number of direct financial expenses, such as the cost of hiring employees to manage the shift. While such costs can be considerable, they are often not the only financial burden felt by businesses under pressure to adopt changing regulatory practices. In fact, the process generally also includes a vast array of indirect financial costs that can have severe ramifications for businesses. Most notably, changing regulatory practices can result in the alteration of existing production dynamics and resource allocation. The process can also cause new barriers to be raised against entry into potential markets or disrupt existing competitive and entrepreneurial relationships. In addition to the financial ramifications of changes in regulatory practices, there is also a wide range of potential qualitative effects. In particular, a new regulatory burden can result in significant disruptions in production or delays. Especially in the beginning stages, production practices will have to be altered—and perhaps even slowed—in order to incorporate new regulations. It is also important to acknowledge the frustrations that will inevitably arise from the imposition of a new regulatory burden, as well as from all the associated burdens. Organizational issues are almost certain to arise, as new rules must be accommodated and new compliance issues emerge. Despite the number of issues that can arise when attempting to absorb the changing regulatory burden into your business practices, there are measures that can be taken to somewhat smooth the process. First, it is important to maintain as comprehensive knowledge of the situation as possible. Keep informed about modifications that are taking place as they are being developed in order to better prepare for any changes. In addition, keeping informed also means understanding how any potential changes might affect your existing business practices. By staying abreast of any new or altered regulations, you can avoid excess costs resulting from time delays, extra employee fees, or even fines. Similarly, it is also vital to remain flexible. The easier you and your company can adapt to change, the less impact such modifications might have on your business. By understanding the changes taking place, as well as the impact these events will have on your business and even the possibilities that might emerge from new regulatory practices, you can lessen the burden and even excel as new protocols emerge. § The financial burden of a changing regulatory burden can come in many forms, including direct expenses, such as employee salaries, and indirect costs that can result from time delays and disarray in the marketplace. § There are also a variety of qualitative concerns that can emerge from changing regulatory practices. It is important to prepare not only for financial costs, but also for issues that can arise in the form of timing disruptions and frustration caused by organizational turmoil. § The best way to minimize the damage caused by changing regulatory burdens is to keep informed. Prepare in advance for any possible modifications, and ensure that your company is flexible and able to adapt quickly. If you have any concerns about minimizing the impact of changing regulatory burdens, it is advisable to consult with an outside expert. Los Angeles and Southern California CEOs and CFOs may want to consider contracting with a provider of outsourced CFO services who observe your business practices with a comprehensive knowledge of upcoming regulatory modifications, and provide objective, expert advice on the best, and least disruptive, way to alter your systems.